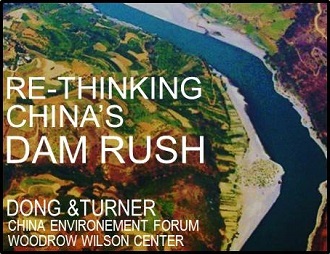 Dr. Jennifer Turner has been the director of the China Environment Forum at the Woodrow Wilson Center for 14 years where she creates meetings, exchanges and publications focusing on a variety of energy and environmental challenges facing China, particularly on water, energy and climate challenges, as well as environmental nongovernmental organizations, environmental journalism, and environmental governance in China. Jennifer also serves as editor of the Wilson Center’s journal, the China Environment Series, which is distributed to over 5,000 environmental practitioners around the world who work on China’s energy and environmental issues. She received a Ph.D. in Public Policy and Comparative Politics in 1997 from Indiana University, Bloomington. Her dissertation examined local government innovation in implementing water policies in the China. Her research focuses heavily on water and environmental activism in China.